Late in July, we showed you a Nike LeBron Soldier 12 iteration that utilized debossed anchors on its toebox that combined with a blue color scheme to create a decidedly nautical aesthetic. Now, it appears that this colorway is just half of a two-piece “Land And Sea” pack that will include this earthy variety you see here. 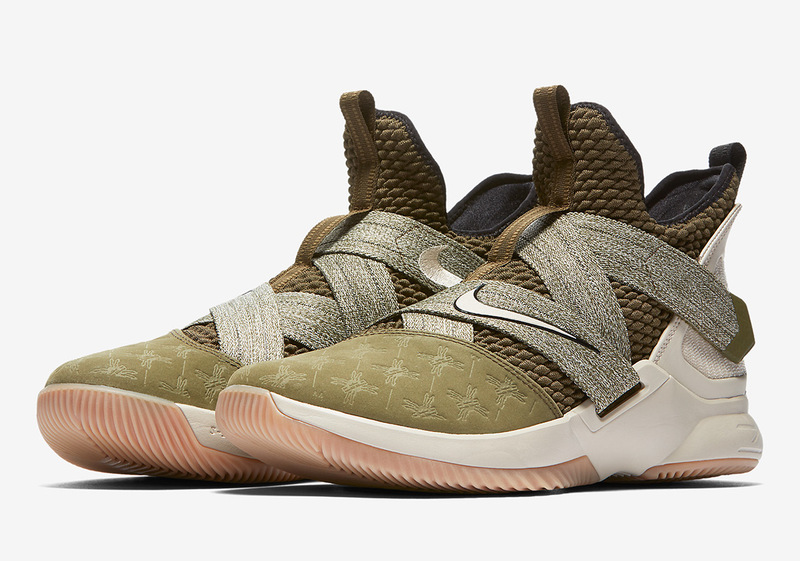 Utilizing olive green on the vast majority of this pair’s upper, military-inspired logos can be seen on its toe to further the lure of the Soldier line. The King’s signature “LJ” crown logo interacts with that same debossed detailing to complete the look of this strap-infused selection. Official release information for this brand new Soldier 12 has yet to be reported, but enjoy an official set of images below and look forward to its release on Nike.com in the coming weeks.